Non refundable deposit. Please email me to confirm date before purchasing. What is a Messy Play Party? I love hosting Little Learners Messy Play Private Parties! It is the PERFECT, fun alternative to the usual soft play or children’s entertainers for birthdays or christenings. Our parties are bespoke to tailor to your child’s interests and favourite characters too. 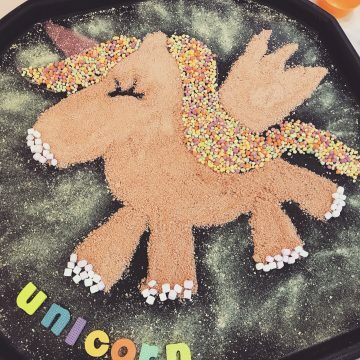 A ‘cake smash’ party is very popular and we have catered to themes such as Peppa Pig, Unicorns, football, Marvel Superheroes, dinosaurs and CBeebies. 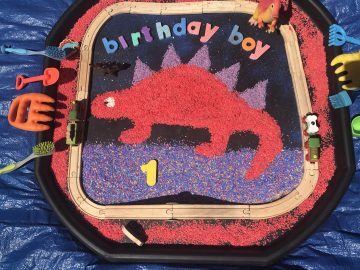 Your theme can be around your child’s name or favourite toy. You can be as creative as you like or leave it all to us! The Venue choice is entirely yours. You pick the venue and book it and I turn up to host the party. 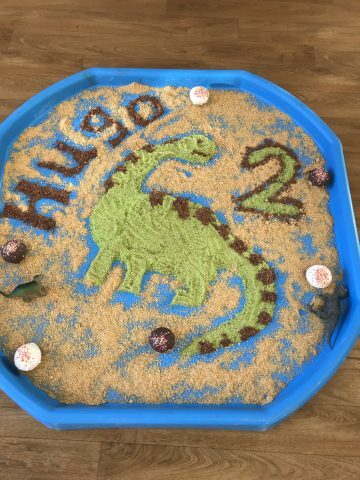 I will set up the party room with a variety of (themed) messy and dry trays, sensory play, painting and drawing stations, play dough, crafts and a dance area. However, you can choose what activities you would prefer-messy or not so messy! I will also provide bowls of warm water for children to be cleaned up afterwards! 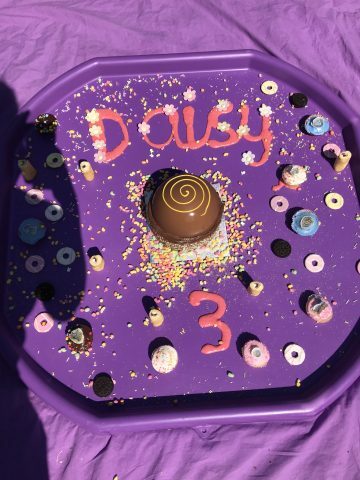 Our party packages start from £80 for up to 15 children £120 up to 25 children – we bring everything required, deliver the session and clear up all the mess afterwards – what could be better? For an additional £20 I can do a cake smash tray. You might want to do some party food after the party whilst I am tidying away too? We can also offer a home party package too! This can be as messy as you want! 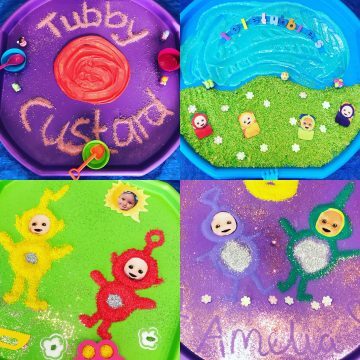 I can do dry messy trays with drawing and play dough to limit the mess or I can even leave out the mess and just bring craft type activities. These parties work particularly well in the back garden! Once you have decided to go ahead with the party then you can pay your £20 deposit below. The deposit is non refundable as I will reserve that date for you.